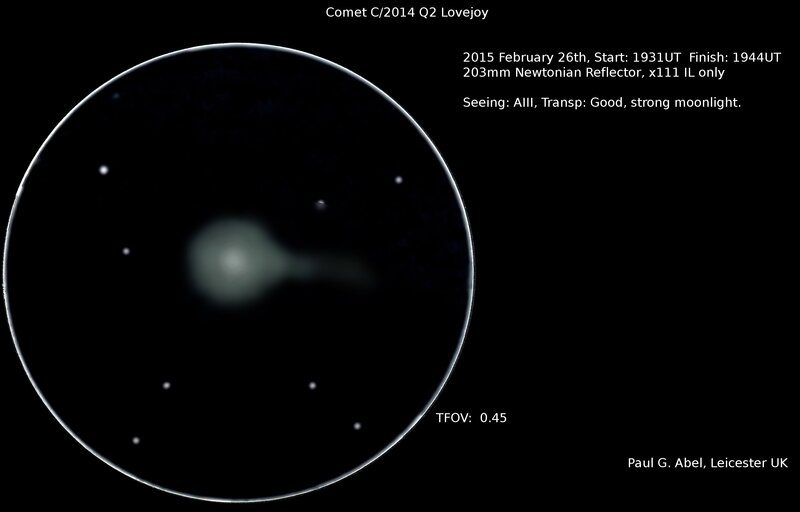 Attached is a drawing of Comet Lovejoy I made on the 26th February. The comet was very easy to pick up, and the coma appeared quite diffuse at x111. The strong greenish hue now seems to be much more subtle. Tail very hard to pick up visually.